here’s a point in the human experience when thought, emotion and action combine. It’s at that moment when we create a unique expression of utter and sublime beauty. Share it with others and it becomes art. In the world of adventure, on high mountain peaks or across vast tracts of rocky desert, art takes the form of photography, filmmaking, poetry and literature. 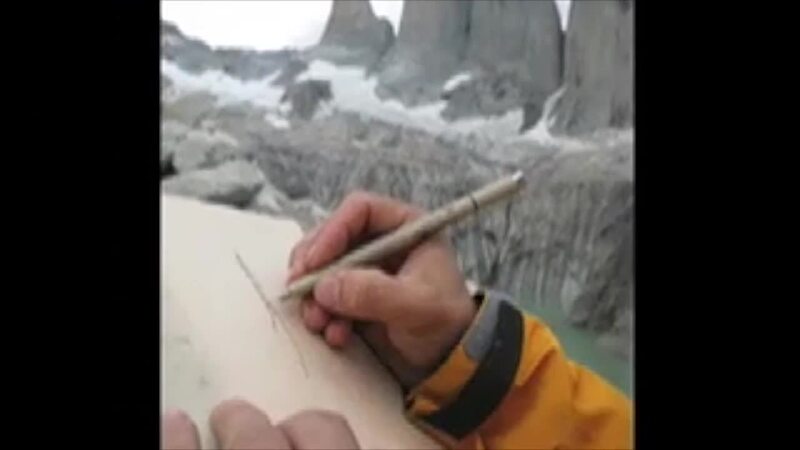 But in the hands of Jeremy Collins, a self-described climber artist, the thoughts, emotions and actions of climbing combine to become breathtaking paintings, drawing and illustrations. A rare and emerging talent in the world of adventure art, Jeremy is a frequent contributor to magazines and books. He also creates prints for commercial distribution. In this video edition of the Joy Trip Project Jeremy shares the story behind his passion for the outdoors and inspires those who see his work to follow along on the journey. A very thoughtful interview! Great job James!